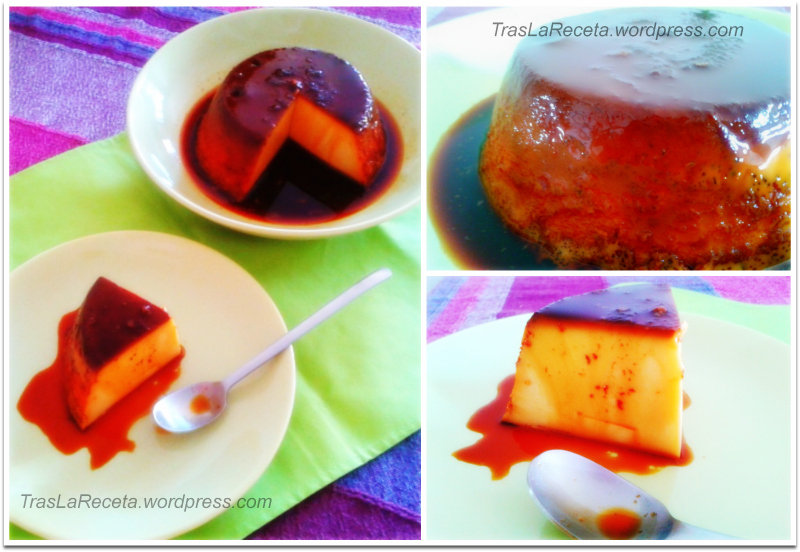 Since a few month ago I have been thinking to share a recipe of Caramel and milk flan that my grandmother used to prepare for pleasure of their grandchildren. 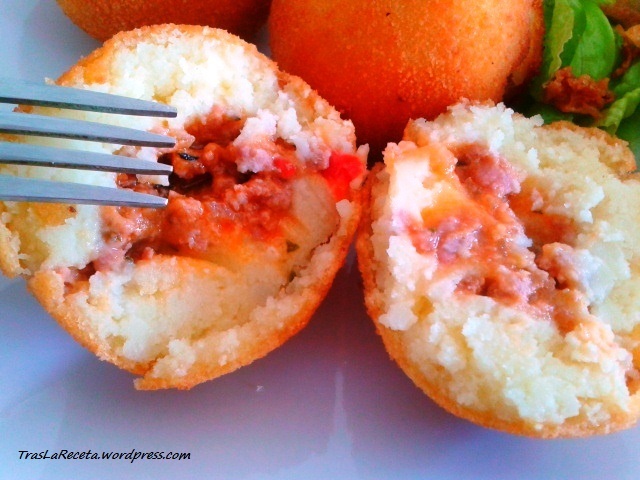 It is one of those homemade desserts that in one way or other, with some ingredients or other, they are prepared in almost all kitchen around the world. Specifically, this Caramel flan, it is made just as my grandma used to cook it up: water bath into a pressure cooker. 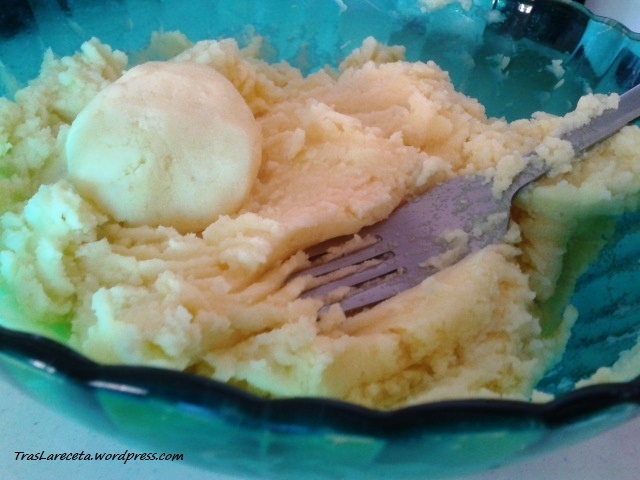 It´s a very simple and fast homemade dessert recipe. 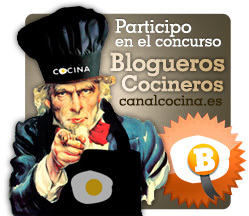 Here, you´ll be able to see how to prepare the Caramel´s flan too, just taking care and a little of patience. This is my favourite between all homemade desserts, this once prepared with condensed milk, full cream milk, a touch of Vanilla and toasted caramel to make all flavors contrast. 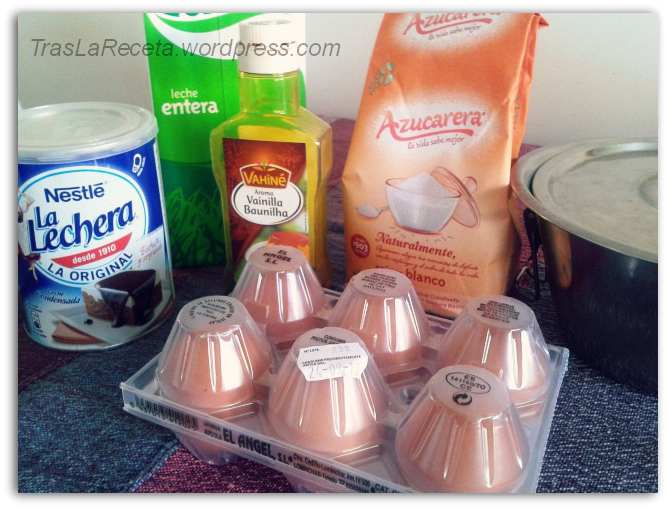 Put into a glass beater the condensed milk, the full cream milk, the eggs, the vanilla and the sugar. Beat until they all are integrated. Keep aside while we prepare the caramel. Caramel: put 5 tablespoon of sugar and 1 tablespoon and a half into the flan mold. Put the flan mold into middle heat in order to boil the sugar little by little. When it´s boils take care, it will golden first and later it will turn brown but don´t let it burns. 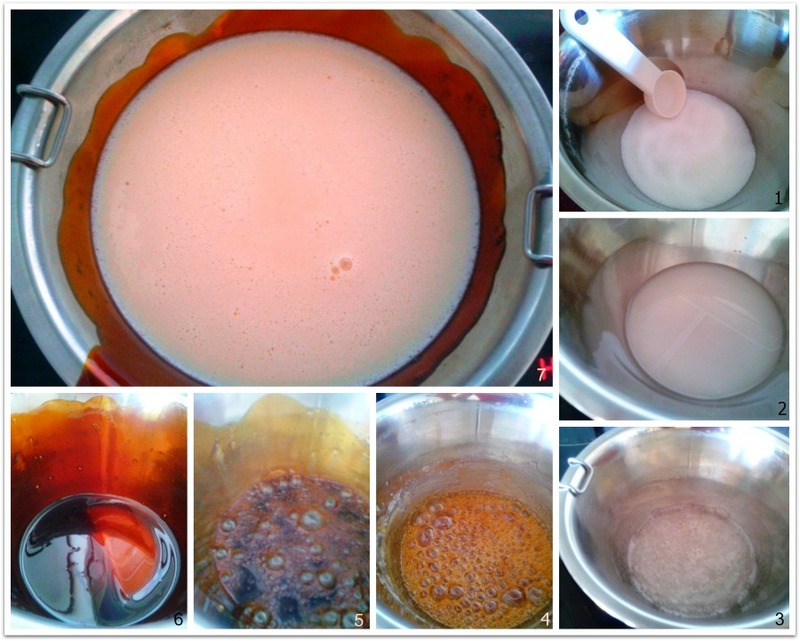 It´s about going caramelizing the sugar until it sticks to the mold walls. You must cover, carefully, all the mold almost to the top. Use potholders in order to avoid burns. Look at the following pictures. 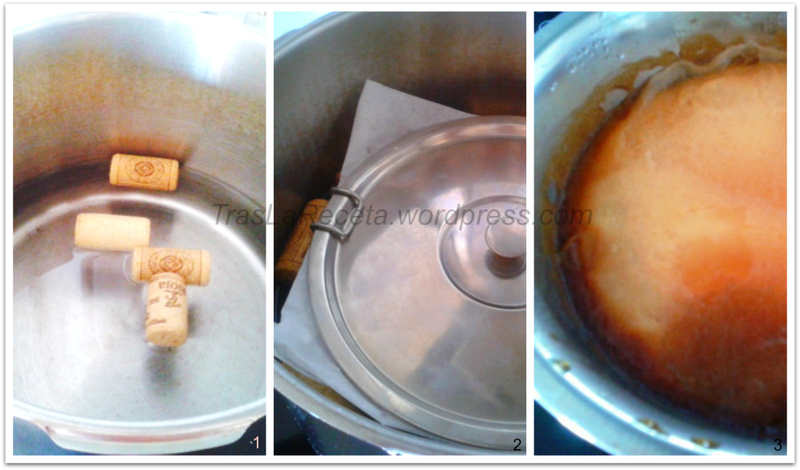 Once you have prepared the mold with the caramel, fill a pressure cooker with some water (just the appropriate amount to water bath) and 4 wine corks. 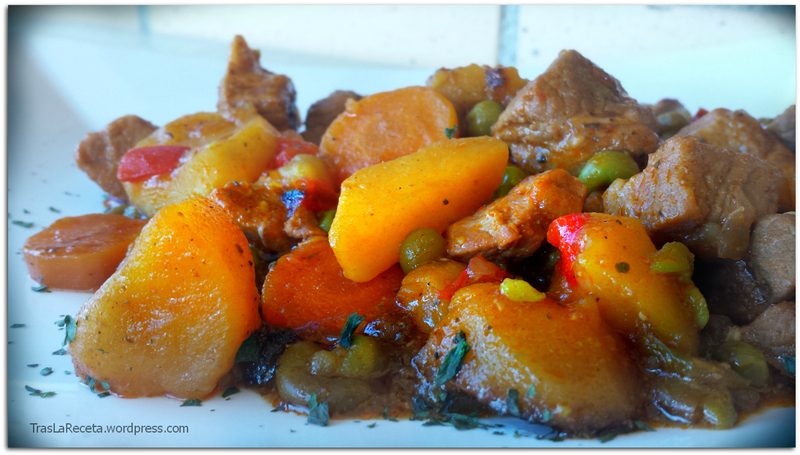 Put the mold into the pressure cooker, cover, put the pressure valve and, once it begins to liberate the vapor, count 20 minutes cooking. When you take the flan mold out the pressure cooker, let cool into cold water and cubes of ice in order to save it later into the fridge at least during 30 minutes. Then take the flan out of the mold and serve. A simple but delicious homemade dessert, you can prepare in any moment for enjoying of everyone. You can use industrial caramel that usually it sales under different names. If you decide prepare it yourselves, you have to do it in the same mold you gonna use. When the caramel cools it´s impossible to manipulate it later, so don´t think about prepare more for future. See you soon with more recipes.